Editor's note: Chrome offers secure, customizable and easily manageable devices and apps for today’s business. Join us for Chrome Live, April 22-24, to learn how web-based solutions can help maximize your company’s productivity. Register here. 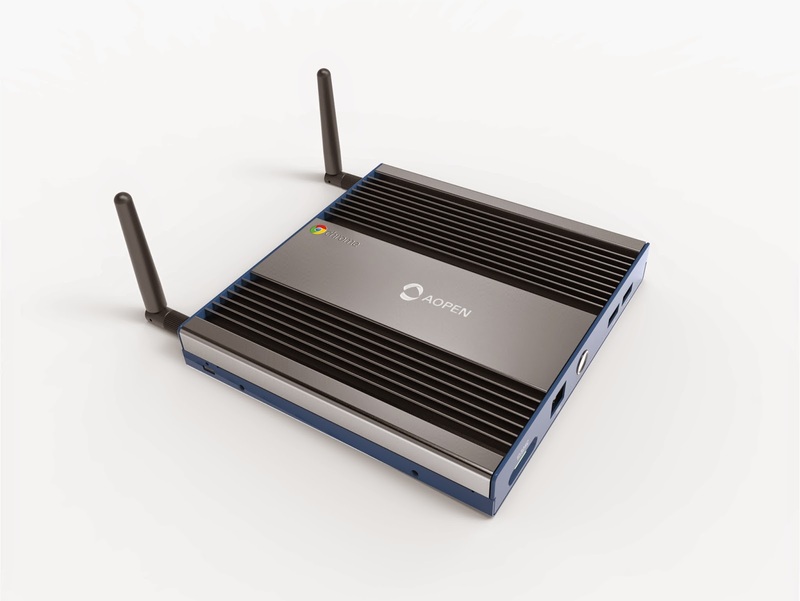 Since last year’s Digital Signage Expo and the introduction of Chrome’s single app kiosk mode, many customers and developers have built digital signage applications on Chromeboxes. Chromeboxes are secure, easy to manage and cost effective, making them ideal to display content and engage customers in any location. Chicos chose Chrome to manage and display content on over 5000 screens across more than 1500 stores. The Chrome Sign Builder helps you create intelligent digital signs that are easy to build, schedule and deploy. You can add and manage content for any number of screens, and schedule that content to run when needed, across many screens at different times of day. A great example of this in action: displaying breakfast, lunch and dinner menus at various restaurant locations across multiple time zones. The Chrome App Builder makes it easy to build third-party kiosk apps. You can set up applications to eliminate the “first-run” configuration process and rapidly deploy across multiple screens. We have several third party partners who've built solutions for signage including Stratos, Rise, Arreya, Wondersign, Four Winds Interactive, Scala, and Industry Weapon; and we're adding more to this ecosystem. Ongoing reporting monitors the health of your kiosks and signage at all times. You’ll get alerts from Chrome device management if a screen goes down, and can remotely reboot the device to get it back online without dispatching a technician. You can also get live updates about system usage and capture screen grabs to see exactly what viewers see. In addition, today AOPEN announced three new commercial Chrome OS devices that will add more durability to digital signage. By working with AOPEN, we can offer more rugged hardware equipped to handle harsh conditions — like a hot and greasy back-of-house line at a restaurant. If you’d like to learn more about these new devices and management features, visit us at the Digital Signage Expo in booth 2218 to see them in action or online. You can also register now for Chrome Live, a digital conference we’re hosting April 22-24.